Our Farm Shop Hampers make an ideal gift at any time of the year. 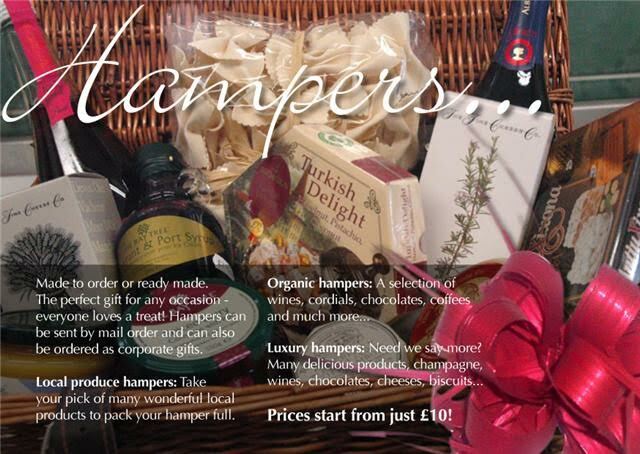 Hampers start at £10 and can continue upwards of £100, all made in the shop using local and unusual products. ​They are made with a variety of ingredients from the farm shop. If you want something different just let us know and we will do our very best to accommodate you. As well as individual hampers we also accept larger orders from companies wanting corporate gifts.